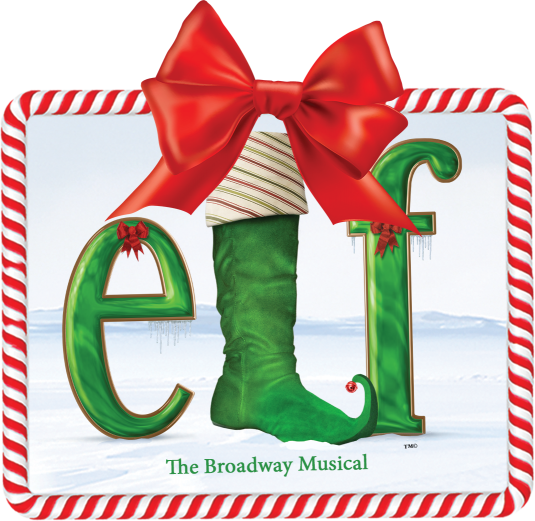 Dallas, TX (August 10, 2018) — NETworks Presentations, LLC, Warner Bros. Theatre Ventures and Unique Features, bring the Broadway musical Elf to the Music Hall at Fair Park November 27 – December 2, 2018, presented by Dallas Summer Musicals and Broadway Across America. Tickets are now on sale for all performances. Single tickets for the Elf start at $20 (pricing subject to change) and are on sale at DallasSummerMusicals.org or by phone at 1 (800) 745-3000. They can also be purchased in person at the Music Hall at Fair Park Box Office Monday through Friday from 10 a.m. to 6 p.m. and Saturday from 10 a.m. to 4 p.m. Orders for groups of ten (10) or more may be placed by calling (214) 426-4768 or emailing Groups@DallasSummerMusicals.org. Coming next to Dallas Summer Musicals is Broadway legend Andrew Lloyd Webber’s high-octane Broadway and West End hit School of Rock – The Musical. The hilarious new musical will premiere at the Music Hall at Fair Park August 15–26, 2018. Single tickets for School of Rock – The Musical start at $20 (pricing subject to change) and are on sale at DallasSummerMusicals.org or by phone at 1 (800) 745-3000. They can also be purchased in person at the Music Hall at Fair Park Box Office Monday through Friday from 10 a.m. to 6 p.m. and Saturday from 10 a.m. to 4 p.m. Orders for groups of ten (10) or more may be placed by calling (214) 426-4768 or emailing Groups@DallasSummerMusicals.org. Dallas Summer Musicals will continue to bring the best of Broadway to North Texas in the 2018-19 season with shows such as Hamilton, Disney’s Aladdin, Hello, Dolly!, Cameron Mackintosh’s new production of The Phantom of the Opera, Anastasia, Miss Saigon, Fiddler on the Roof and season add-ons Elf and The Book of Mormon. Since 1995, NETworks has produced and managed over 45 touring productions in the US., U.K. and internationally. Current productions include Disney’s Beauty and the Beast, Billy Elliot The Musical, Blue Man Group National Tour, Elf The Musical, Flashdance the Musical, La Cage Aux Folles, The New 25th Anniversary Production of Les Misérables, Disney and Cameron Mackintosh’s Mary Poppins, Shrek The Musical and National Theatre of Great Britain’s production of War Horse touring the U.S. The live stage play division of Warner Bros. Entertainment responsible for developing and producing world-class musicals and other stage productions for the Studio. It has numerous productions in various stages of development, including co-productions with award-winning Broadway and film producers. WBTV’s ELF The Musical is back on Broadway this year after a record-breaking run at the Al Hirschfeld Theatre during the 2010-2011 holiday season. In June 2013, the division will premiere the highly anticipated musical adaptation of Charlie and the Chocolate Factory, with Sam Mendes directing, in London. WBTV also licenses third-party stage rights to the various properties held within the Studio’s vast media library, including such recent stage productions as Light in the Piazza, The Wizard of Oz, Singin’ in the Rain, The Color Purple and 42nd Street as well as the upcoming Diner and Bridges of Madison County. WBTV’s parent company, WARNER BROS. ENTERTAINMENT, a Time Warner Company, is a fully integrated, broad-based entertainment company and a global leader in the creation, production, distribution, licensing and marketing of all forms of creative content and their related businesses, across all current and emerging media and platforms. The company stands at the forefront of every aspect of the entertainment industry from feature film, TV and home entertainment production and worldwide distribution to DVD and Blu-ray, digital distribution, animation, comic books, licensing and broadcasting. An independent company that was launched in 2008 by Robert Shaye and Michael Lynne, who together built New Line Cinema into an industry powerhouse. The company is currently developing and producing several film and television projects, including “The Mortal Instruments” with Constantin Film, starting production this month with director Harald Zwart; an animated adaptation of Paul McCartney’s illustrated book “High in the Clouds” to be directed by Rob Minkoff, written by Josh Klausner with original music by McCartney; “Sailing to Byzantium,” based on the award-winning novella by Robert Silverberg; “French Lessons,” based on the successful novel written by Ellen Sussman. In television, the company is developing an original television series with Bennett Miller and Kristen Gore, and developing the reality series “Dude, That’s My Sister” for MTV with Bunim-Murray.